According to a new norm issued by the Delhi government for the chemists in the city, people who seeks to buy the most-commonly used anti-inflammatory drugs such as Disprin, or an Aspirin, will now need to get a prescription from a qualified doctor. Put simply, over-the-counter (OTC) sales of these drugs are now allowed, till you have a prescription note from a doctor clinically recommending these medicines to you. This development comes in the wake of the looming danger of dengue, with new cases being reported in the city at a rapid pace. 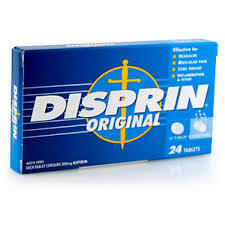 These (Disrpin, Aspirin, Brufen, Voveran, etc) drugs are non-steroidal anti inflammatory drugs which lead to destruction of platelets, thus further weakening the condition of people becoming increasing susceptible to dengue in the present times. According to senior officials, during this season cases of Dengue are on the rise and drugs like Aspirin and Ibuprofen further cause destruction of platelets in human blood. These drugs may add to the haemorrhage symptoms and can cause death in dengue patients, official said to PTI. Health department will take action against any retail chemist found flouting this advice. “Chemists have also been advised to keep the records of stocks of such pain-killer drugs like Aspirin, Ibuprofen and Diclofenac group of medicines. Stringent action will be taken if anyone is found selling medicine without prescription,” official said. Health department has also directed all hospitals in the city to procure NS1 Antigen detection kits and also arrange for adequate number of beds during the peak dengue season. In a bid to spread awareness, schoolchildren will be told about the life cycle of the Aedes mosquito, which transmits dengue, and be engaged in dengue-control activities. Health department has also asked for pictorial pamphlets to be prepared containing Dos and Don’ts, including symptoms described in easily understandable terms, mode of transmission, habits and habitats of mosquitoes. In order to make people aware about seasonal diseases and not to take certain medicines, Government of Delhi, through the Drugs Control Department, has issued an advisory in public interest.